Salud means cheers, which we all know. It’s also another way of saying ‘gesundheit’. 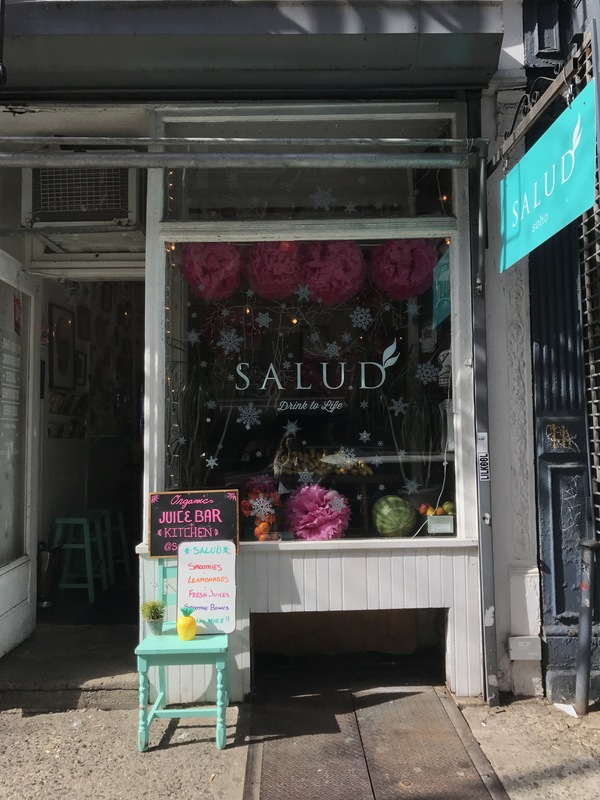 The best definition of ‘Salud‘, however, is the tiny, aesthetically pleasing, incredibly healthy and organic juice shop / Latin American restaurant in SoHo. Sounds like an odd combination, right? Well, wrong. I paid this family owned joint a visit this weekend and I was really blown away. 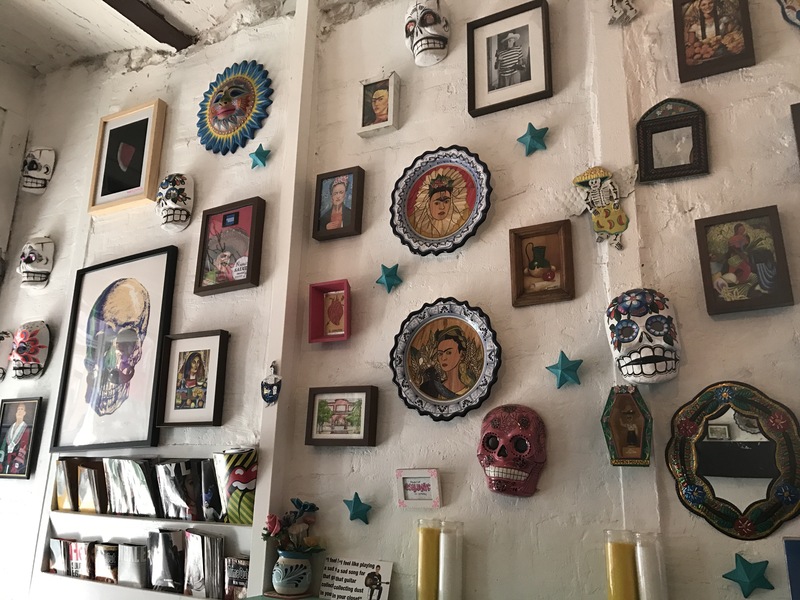 The first things that struck me were Dia de Los Muertos inspired decorations. 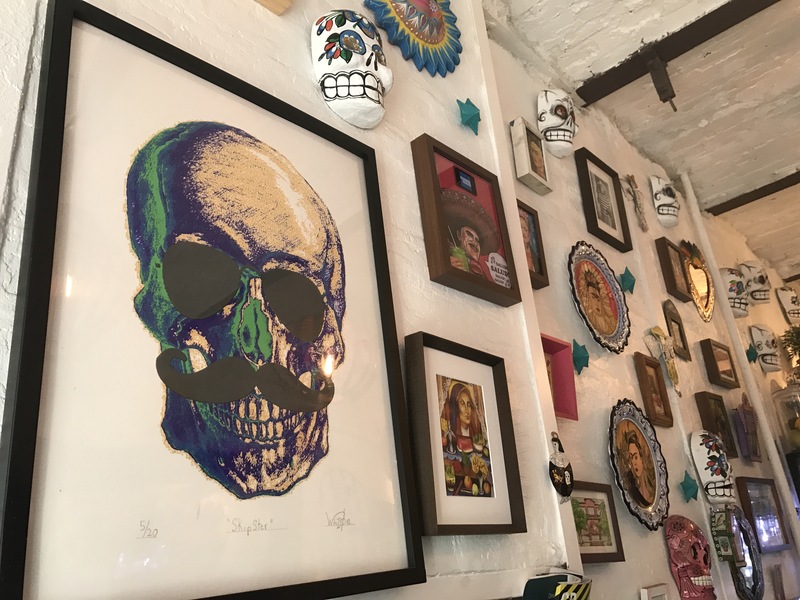 One wall of the restaurant, which only has 2 tables and a bar with aqua colored stools, was covered with colorful skulls and portraits of the renowned Mexican painter Frida Kahlo. It’s really an incredible sight and my pictures really don’t do the arrangement justice! The woman who took my order was super helpful and kind. 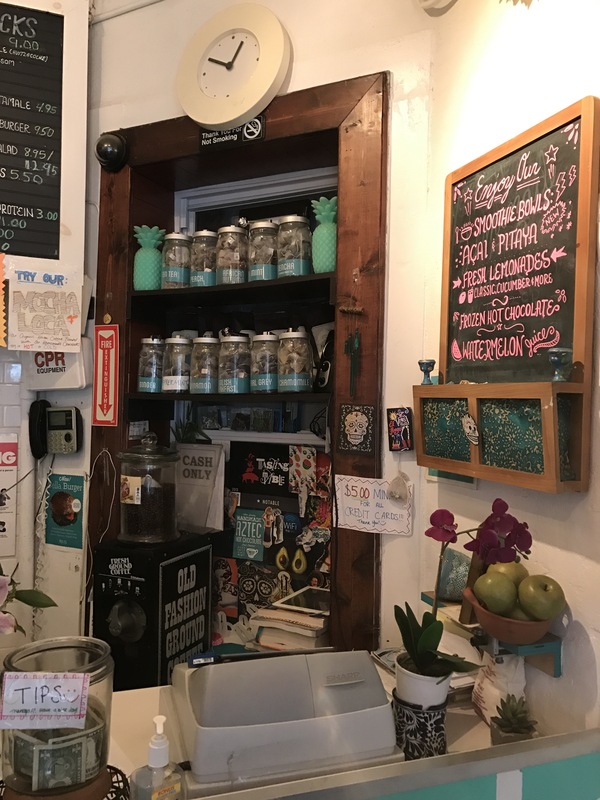 She suggested the Pitaya Bowl (I’m all about my Latin American food, but I desperately needed a refreshing kick to break through the grogginess) and the owner agreed that it was an awesome choice. 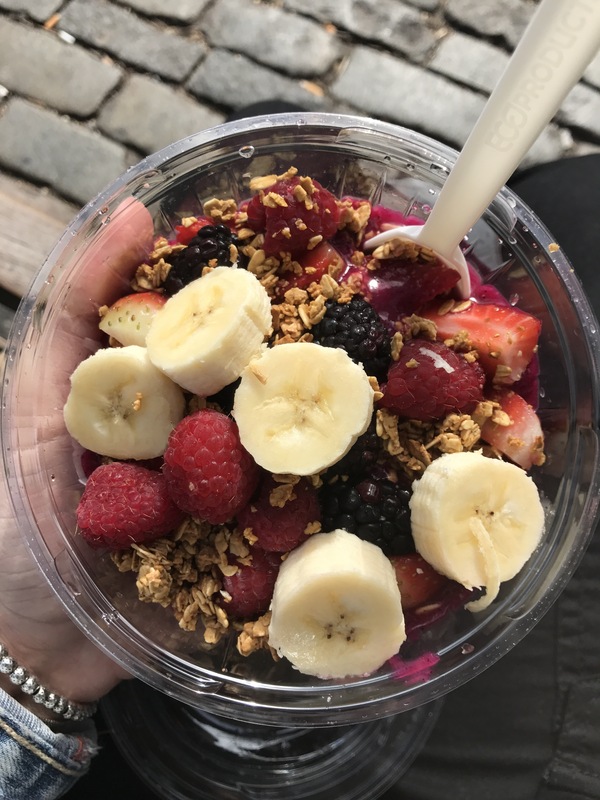 It’s essentially the Salud twist on the traditional acai bowl (which they have, too!). It’s made with Pitaya purée, aka dragon fruit, and topped with fresh fruit slices. It was amazing. I was craving something healthy and that really hit the spot. I had it wrapped up to go and I sat on a bench outside of a park while I ate. I was so happy that they recommended it! The menu also features a ton of traditional dishes, like chicken torta and quesadillas. Like I said, everything is all natural and organic, which the owner reiterated when we chatted. 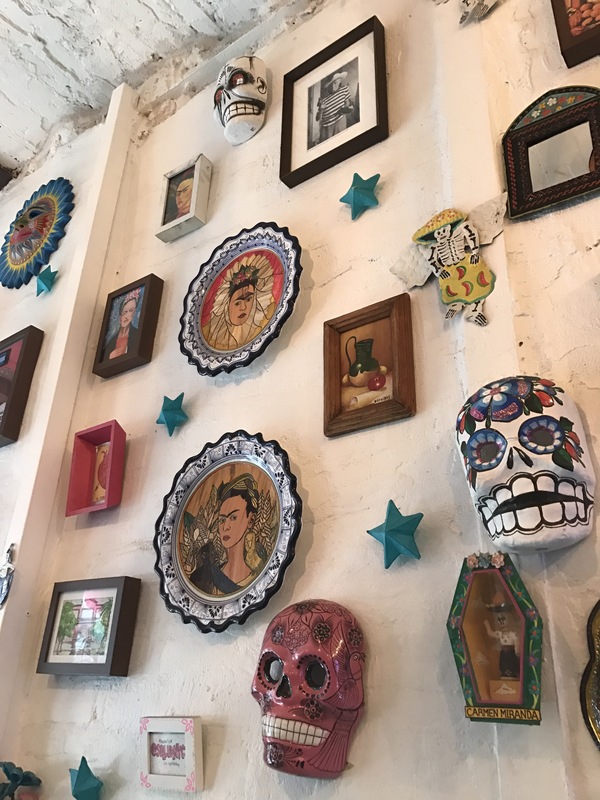 I’m definitely going to return to Salud to try some of their more savory dishes and you should make your way there, too! You won’t be disappointed! Plus it’s right around the corner from Dominique Ansley, so you can eat a healthy meal then send all your good efforts to hell by indulging with a cronut. Or you can skip the sweets and spend the day shopping around in the neighborhood. 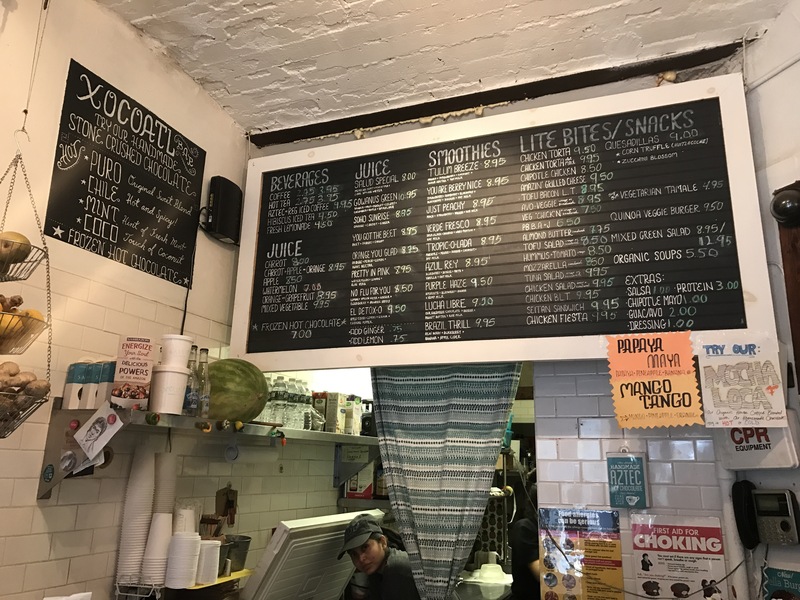 Make sure you check out the extensive smoothie menu, too!